Taking a closer look at our packaging partnership with leading cycling and lifestyle brand, Rapha, Simon Farrow (MD, Progress) sat down with Hard Goods Designer and Developer, Miles Gibbons at Rapha HQ in London to discuss their new performance eyewear range, helmet and gifting packaging. Rapha is one of the world’s most renowned sportswear and lifestyle brands that specialise in road cycling apparel and equipment. They support an ever-growing global community of passionate enthusiasts who live and breathe their design-led cycling products. Since first teaming up in 2011, following their participation in our highly successful ‘Feed My Ride’ musette project that celebrated the historic Yorkshire leg of the Tour de France, Progress have gone on to be a vital part of Rapha’s packaging production and design process. Our long-term partnership with the company has led to the development of a wide range of innovative formats, including their latest performance eyewear and helmet packaging. Rapha are well known for storytelling with their products which has led to them gaining a competitive edge in the market and further enriching the brand and product experience for their consumers. For them, the packaging is a vital part of the product and provides additional uniqueness and value. 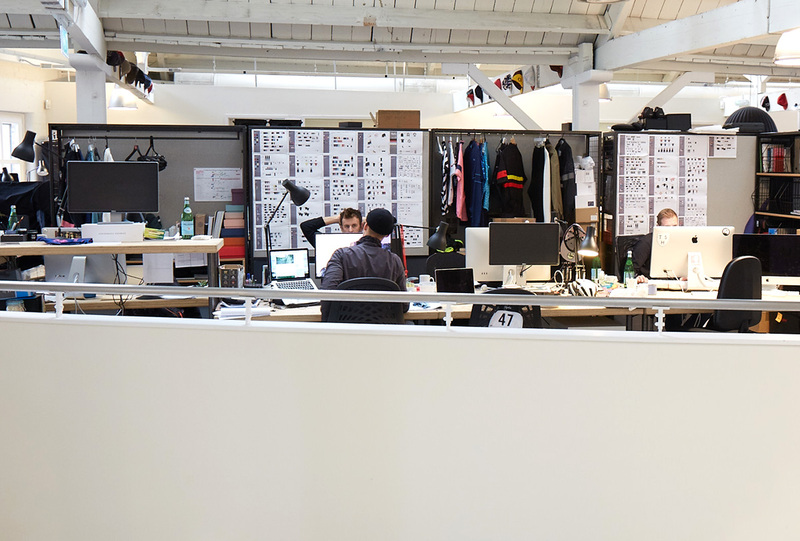 Rapha HQ in central London where all the product design and development is undertaken by their team. Discussing production samples of the new Rapha gift packaging range. Performance eyewear packaging tins are used in-store to help merchandise the product. 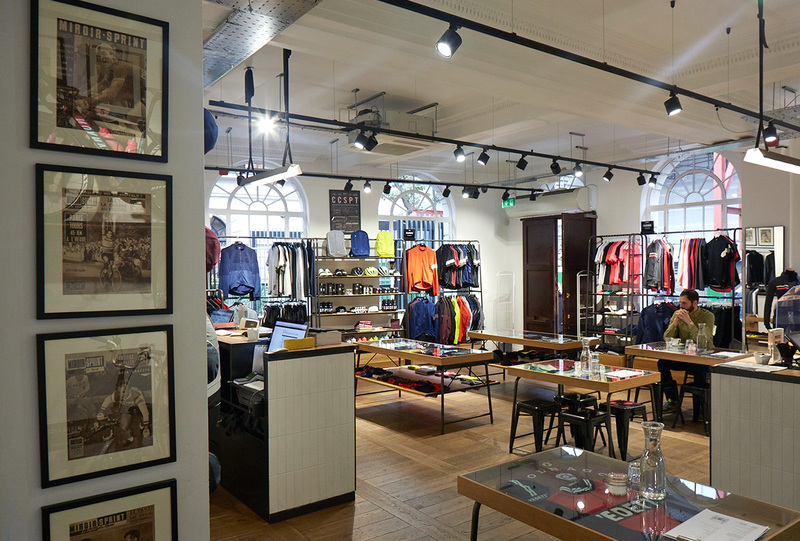 One of Rapha's many retail stores where their full range of clothing and accessories co-habit with their in-store café. 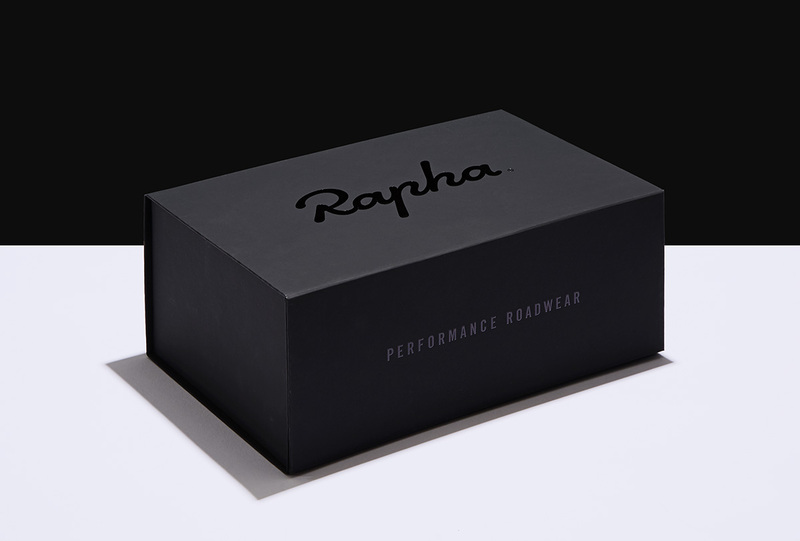 It is never simply about ‘producing a box’ or a standard promotional form of packaging for Rapha. The journey for each piece is key, as is the overall performance of the product inside. All the elements need to come together to provide Rapha with something unique, durable, reusable and transportable. With stores across the world, they not only have to consider the design aspects of the packaging, but also how those will work logistically. The fewer stops the goods have to make before they end up on the shelves, and the less people involved, the smoother the transition. The theme of performance runs through every creative aspect of Rapha’s design and production, including the collation of their products – another reason why the methods and practices of Progress work so well for Rapha. 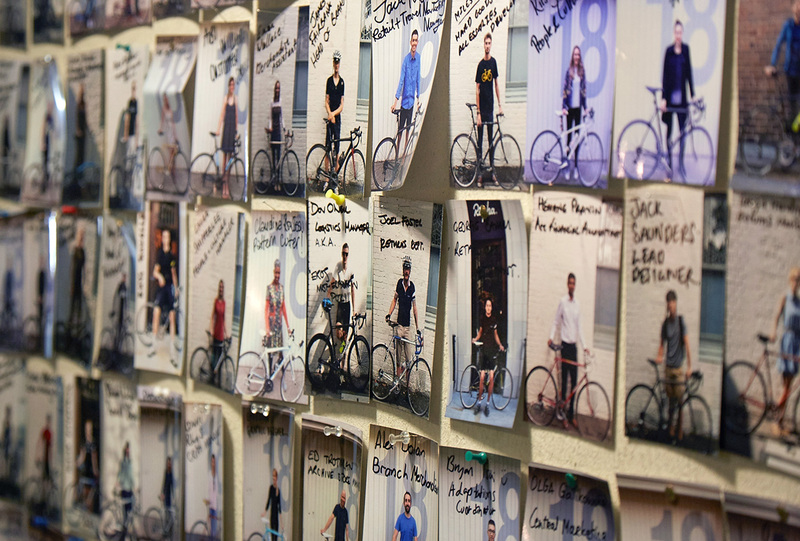 Rapha employees show their passion and love for cycling on ‘the staff inventory wall’. 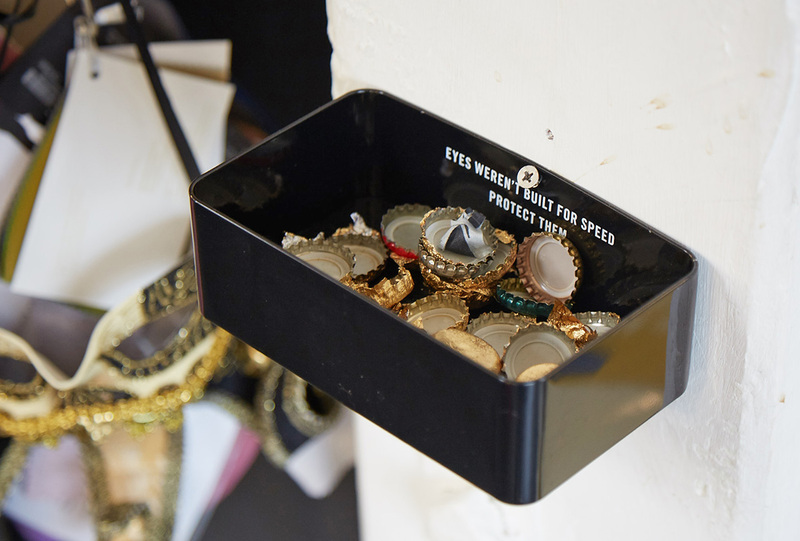 Eyewear tin being intentionally reused for a new purpose in Rapha’s office. We produced their performance eyewear tin packaging in our specialist factory in China to an initial run of 5,000 units. These were then transported by sea freight to our UK finishing house, where each tin was hand-fitted with a high-density, custom foam insert before the case, glasses and printed information inserts were secured inside. From start to finish, Progress and Rapha worked side-by-side to ensure that the cross-continent shipping of these products wasn’t an issue in terms of cost efficiency or logistics. Eyewear outer box packaging having printed product labels applied by Progress during the collation process. Rapha’s latest helmet packaging, produced by Progress. Rapha’s commitment and dedication to separate themselves from other industry brands is a fascinating journey to be a part of. When producing their eyewear tin, they were excited to try something new, keeping the outer edges smooth, referencing vintage tins, while also making it look modern and sleek as a finished piece. A decision was also made to streamline their products, transferring all their paper over board boxes from a black gravure embossed paper, to a new PU coated rubber effect paper that fell in line with the rest of their collection. The innovation and determination to make things perfect is apparent in everything they do, and there aren’t any changes or new ideas they are not willing to try along the way. ‘When your suppliers make a similar effort, you can easily overcome the challenges, so I am never scared by ambitious ideas’, Miles told us, reaffirming that when it comes to future projects, Rapha and Progress have a lot to look forward to and many boundaries to break down. 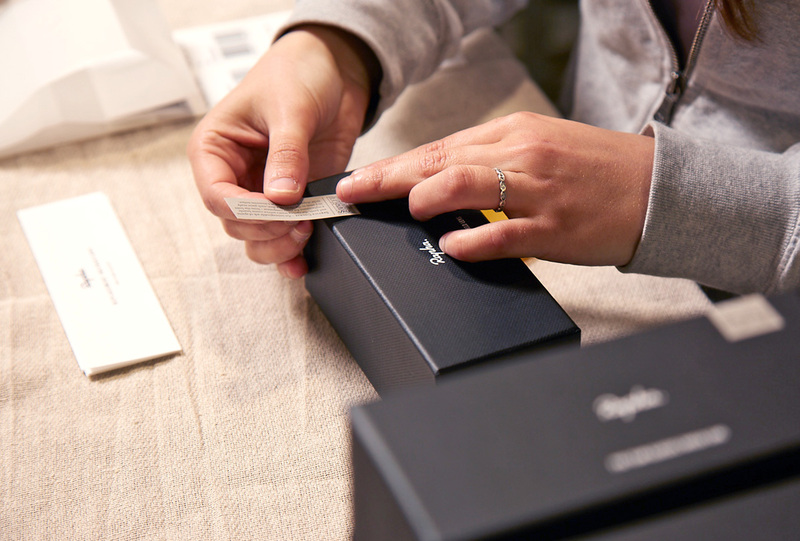 Find out more about our production partnership with Rapha by viewing our performance eyewear, direct mail, gifting and membership and performance footwear packaging projects.